I see a jeans and tee combo as a pretty standard weekend attire, wouldn't you agree? (Swapping the patent mary jane's for a pair of black converse, of course.) 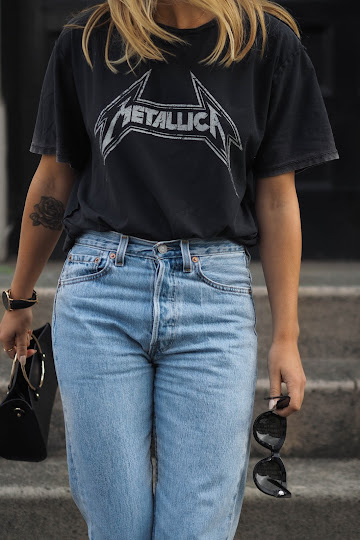 The addition of a slogan, stripe or band image scrolled cross the front of your tshirt adds a little more personality, than a plain white crew neck. 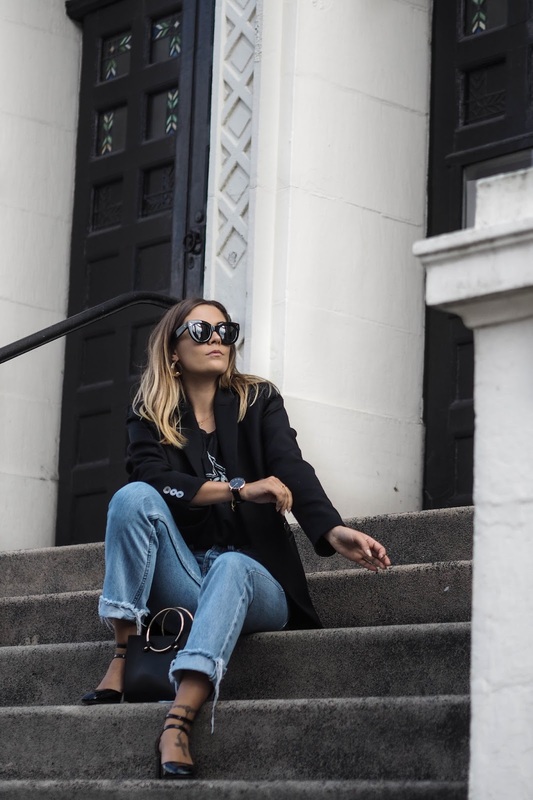 The blazer I've come to realise up until a recent shopping trip in Reiss, is without a doubt required in anyone's wardrobe. Being an oversized knitwear wearer I've never really noticed the need for a blazer. By the time you notice the chill through a large peice of knitwear is when the fun starts, that is coat shopping! 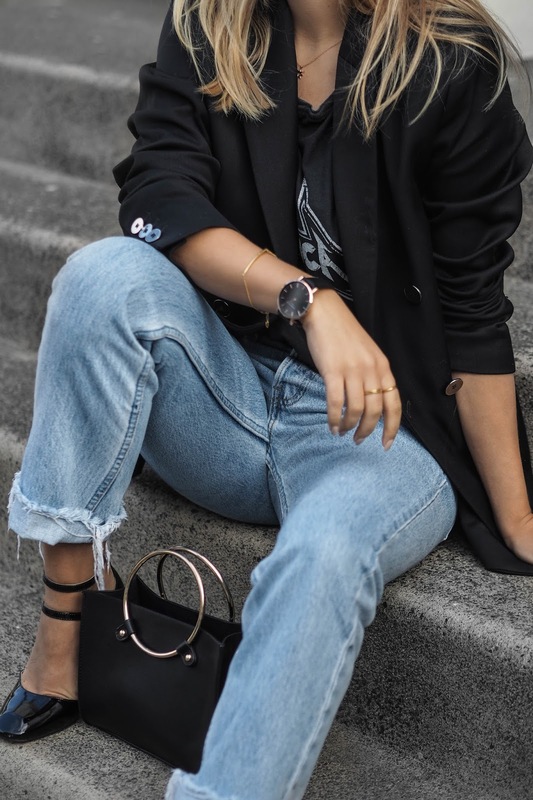 The addition for a blazer is oh so necessary when it comes to layering, and putting your best foot forward and showing off what's underneath! 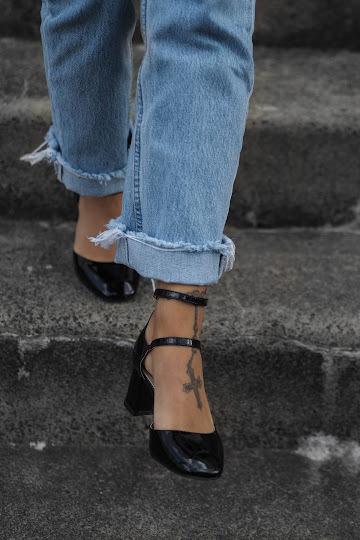 In love with this look! Perfect combo! Oo, loving a band tee with a blazer, cute! Linda Stars offers a wide range of angel jewelry that is not only beautiful, but unique as well.